VW’s marketing team well and truly excelled themselves when they came up with the concept of the GTi-badged model some four decades ago, and its gone on to grace some of the firm’s most significant machines in the intervening years, the Polo being one of the most popular. Never a firm to rest on its collective laurels when it comes to new products, Goodridge Performance has been busy of late, and a kit for the latest generation of VW Polo GTi is the end result. The kit in question boats a number of highly significant design features and adaptations, all of which make it perfectly suited for fitment to the latest Polo to wear that iconic three letter badge. Supplied with a selection of carefully designed brackets to ensure perfect fitment, the kit contains both square and banjo type fittings, one at either end of the line. These have been chosen as together they form an incredibly secure fitment and can be used to mimic the route of the OEM lines, thus ensuring swift and simple fitment. That these fixings can be relied upon for years to come is highly significant for a kit of this nature, as there’s nothing worse (or indeed more unsafe) than a weak link in a performance car’s brake system. Also included with the kit are a number of bolts, washers and other retaining hardware, again, all specially designed and manufactured in order for the resulting brake line to be the best and most complete on the market. 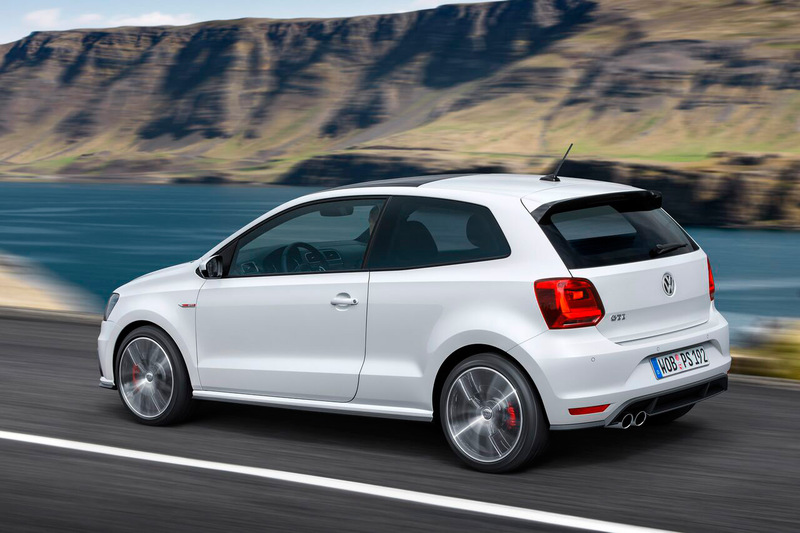 There are myriad benefits associated with fitting braided Goodridge brake lines, all of which are doubly relevant when discussing a performance orientated hot hatch like Polo GTi. Chief among these are the huge improvements in braking efficiency offered by modern, aftermarket braided hoses, unrivaled reliability and longevity, and a complete absence of that most irritating and potentially dangerous of traits, brake pedal sponginess. 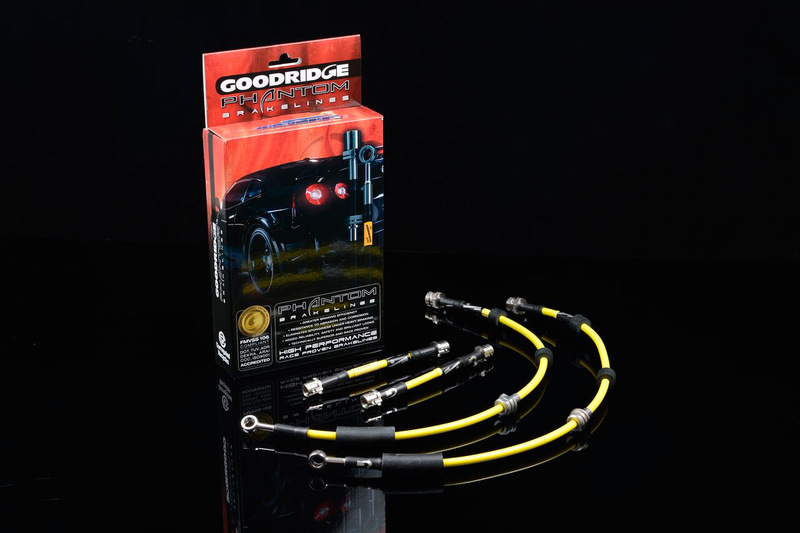 Few firms can claim to have as great an understanding of the science behind brake line technology as Goodridge, with the firm’s engineering department having devoted countless hours in pursuit of the ultimate braided lines. The result is improved braking performance across the board, exemplary reliability and an extended working life. 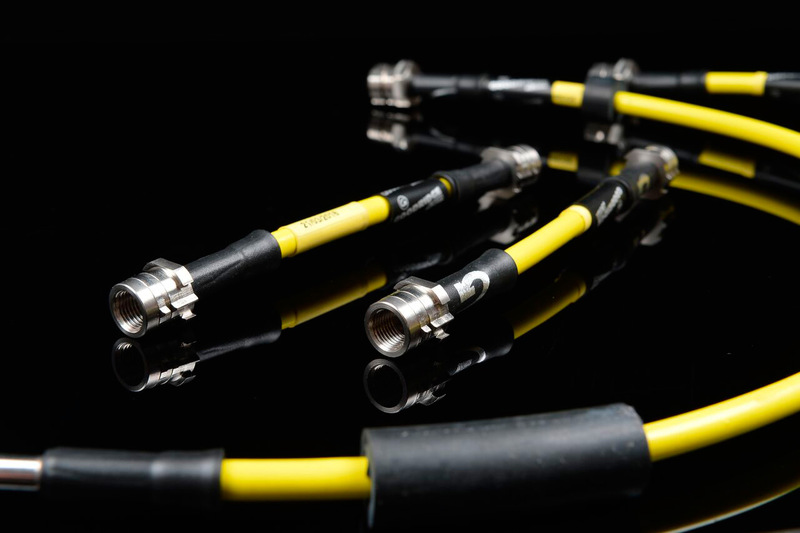 Goodridge’s position as the world’s leading manufacturer of performance fluid transfer systems means that they’re perfectly placed to push brake line development on and drive innovation, but this hasn’t come at he expense of quality or careful product design. The firm’s reputation for technical excellence and dependability has been cemented by superb attention to detail and customer care. A good example of this in action is the fact that each and every brake line is comprehensively pressure tested before it leaves Goodridge’s state of the art factory so that customers can have absolute confidence in its functioning. 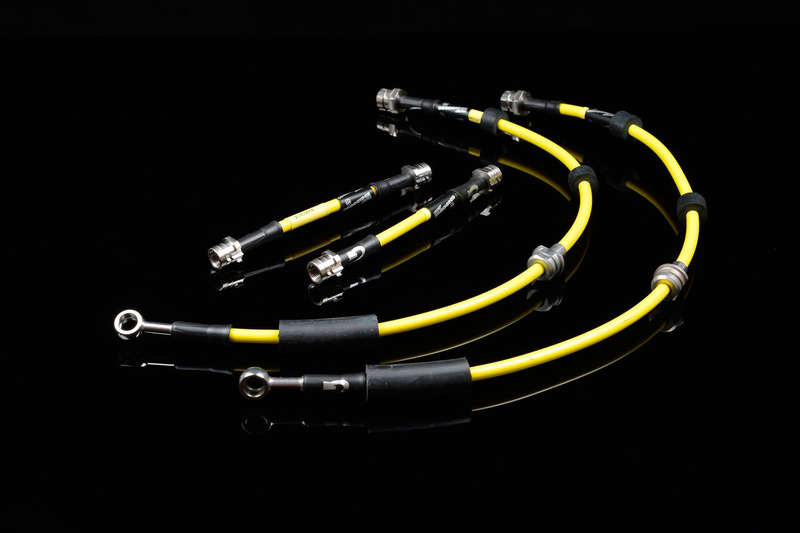 Little wonder Goodridge brake lines are TUV, DOT, ADR and ISO approved. Though the fifth generation Polo GTi is still a relatively new model, replacing its OE brake lines with braided, aftermarket examples from Goodridge’s Phantom range makes a great deal of sense, with marked improvements in both performance and reliability there for the taking. 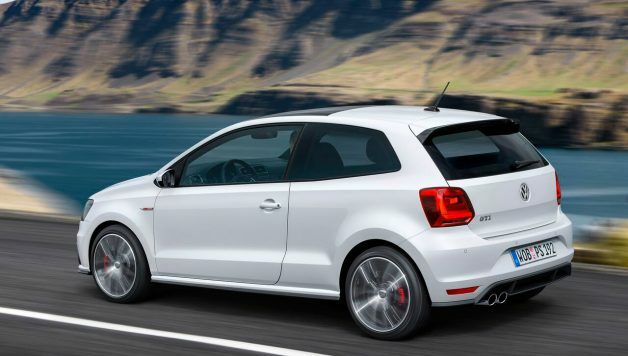 Those Polo owners seeking to improve the braking capabilities of their car would be well advised to take the time to peruse Goodridge’s latest lines, the benefits they offer are simply too important to overlook.